The Xbox team has been rather busy lately. On Tuesday, the team delivered the most sweeping facelift of the Xbox 360 dashboard since NXE, and today released an Xbox Companion app for Windows Phone 7 and My Xbox Live for iOS. We've had a little bit of time to troll around inside the two and thought it worthwhile to go over the very different features the two offer in conjunction with an Xbox 360. To start, the behavior of Xbox Companion for WP7 is very much analogous to Apple's Remote for iOS. Xbox Companion offers basic control over the dashboard and inside applications (including directional controls and a/b/x/y buttons) in addition to the ability to both control media playback, launch games, view friend activity, and search using Bing. The Xbox 360 under control has to have Companion enabled under Console Settings, but after that all that's required is a Live ID user and password on the app. Control works over cellular data or WiFi, though WiFi of course affords much lower input latency and better experience. Again, Xbox Companion really acts in practice like a remote for an attached 360, and does a pretty good job replacing a the IR Xbox 360 media center remote if you have a WP7 smartphone handy. Xbox Connector finally gets close to the kind of integration that we've been waiting for between WP7 and the 360, and using it as a remote is fluid if you're using it over WiFi with good connectivity. My Xbox Live for iOS eschews the control and remote functions of its WP7 counterpart, and instead gives you control over Xbox Live messaging, friends, and an achievements browser. It's slightly surreal to see and use a Metro-style UI on iOS, but the interface is extremely fluid. 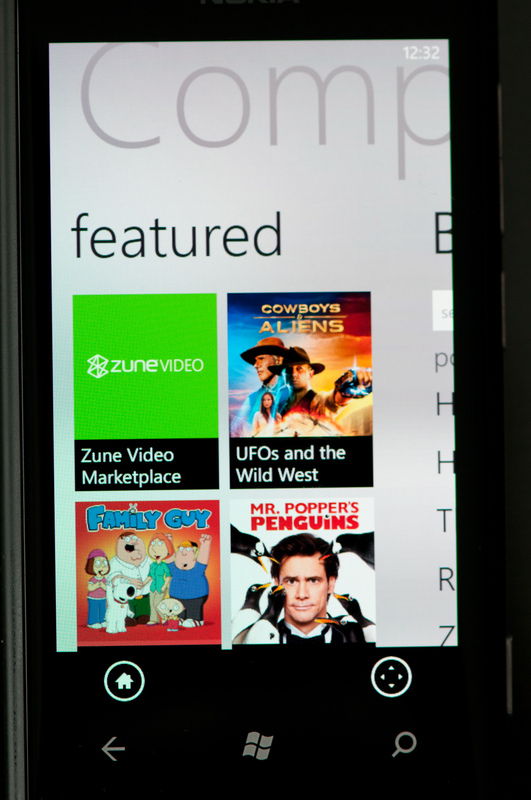 There isn't nearly as much function here as Xbox Compaion, as unsurprisingly Microsoft wants to keep some of that control exclusive to the WP7 counterpart. That said, sending text-based messages over Xbox Live is way easier on the iOS app than it is on the 360 unless you have a chatpad or use voice. Ads, ads, ads, ads, all I see on the 360 dashboard is ads. The actual buttons to access your content are two little things on the left and the entire right side, plus the huge button is all ads, on every page.